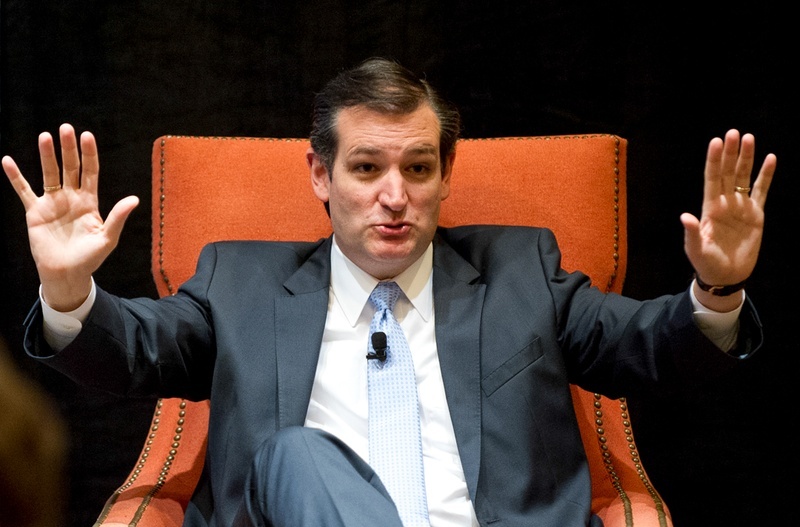 Ted Cruz was the first to announce his candidacy for the 2016 Presidential election, and while he has some conservative credentials, he won’t earn my vote. Although electing moderates like John McCain and Mitt Romney has not worked out for the Grand Ole Party, where’s why Ted Cruz would be an even bigger mistake. 2) Liberty and Inclusiveness: Had Rand Paul not entered the race on April 7th, maybe Ted Cruz would have positioned himself as the liberty candidate. Of course, Paul did enter the race and took that mantle for himself. Cruz, anticipating this, has been tacking towards the establishment, working to court the evangelical vote rather than the young liberty movement. While Paul gives speeches challenging policy from both parties, Ted Cruz throws out “red meat.” While Rand Paul is growing the party by giving speeches at historically black universities such as Howard University (a must watch!) and Bowie State (view here), Ted Cruz is pandering at Liberty University. 3) Partisanship and Effectiveness: One of the things that Obama is criticized for is his partisanship. From early on, when he trolled Republicans by telling them point blank, “Elections have consequences…” “I won” there was little hope they would work together productively. Ted Cruz is not much different. He differs on nearly every policy position, but his way of interacting with political opponents is quite similar. While Obama makes inexplicably partisan moves such as vetoing the construction of the Keystone Pipeline despite his own experts evaluating it to have little negative environmental impact, Ted Cruz led the effort to temporarily shutdown the government as the debate over reckless spending raged. This neither helped the GOP nor America, but it did create a lot of awareness for his political career. While you will often find Rand Paul working across the aisle, such as his recent partnership with NJ Senator Cory Booker on criminal justice reform, you’d be hard pressed to find Cruz work together with Democrats to get things done. 4) Slim to None: Ted Cruz has more negatives than positives, little appeal to moderates, and lacks a major fundraising machine. You can look the other way on one or maybe even two of those, but with all three together voting for Cruz is risky business. He has a slim shot to win the primary, and no shot to win the general against the Washington Machine the Clintons control. Senator Rand Paul: Rand Paul is the most unique candidate in the field. As mentioned e has reached out to historically black colleges and worked across the aisle on issues like judicial reform, NSA surveillance, the limits of presidential authority to launch military strikes, and the aforementioned criminal justice reform. He does this to grow the party and based on support from Millenials and moderate liberals in swing/blue states it appears to be working. Rand Paul has made some of his strongest stances on fighting against the NSA’s abuse of power, executive overreach, balancing the budget, avoiding “nation building” overseas, and criminal justice reform. On April 7th, Rand Paul announced that he is running for President. Governor Scott Walker: Scott Walker may not have the foreign policy experience, but he has done an exceptional job handling the state budget. He took a $3.6 billion deficit and turned it into a $911 million surplus without raising taxes. He also was able to lower the unemployment rate. He even fought out of control union pensions to fix the budget problem, proving he may be up to task in tackling the entitlements that will need to be reformed to fix the problem at the federal level. His accomplishments on the executive branch at the state level give him great credibility on domestic issues. He has yet to announce that he is running for president, but he is leading many polls and is expected to announce. Senator Marco Rubio: Marco Rubio has not shown the vigor to cut spending like Rand Paul or the track record of balanced budgets like Scott Walker, but he has appeal to moderates and independents as does Jeb Bush, only without some of Bush’s liberal views such as supporting Common Core. He is expected to announce very soon. Have a look at Governor Bobby Jindal, who has just thrown his hat in the ring. As of right now, he has my vote.